Album art for retro-futuristic breakdancing EP by Juicy Melon Jim. Release date set for June 17, 2014. My friend Jim commissioned me to come up with the album art for his upcoming 80s inspired EP. Jim has been producing and sharing music, audio clips and podcasts online for as long as I have known him. You can find the more musical of his projects on his SoundCloud Page. 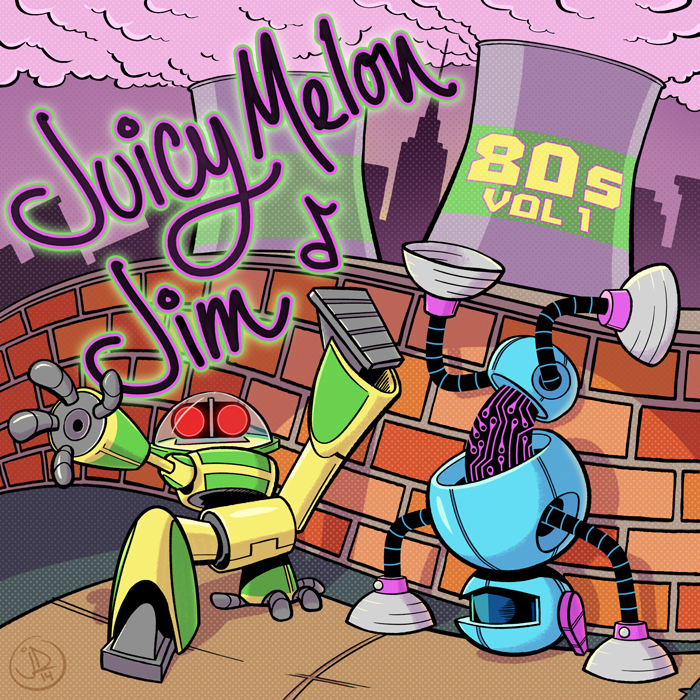 Currently the album Juicy Melon Jim 80s VOL 1 is slated for release on June 17th. Follow Jim on Twitter for more details.